SOUTHEAST MISSOURI STATE UNIVERSITY PRESS is pleased to announce that Haesong Kwon’s manuscript The People’s Field has been selected by our final judge, Jenny Yang Cropp, as the winner of the 2018 Cowles Poetry Prize. Kwon’s book will be published in fall 2019. A full list of finalists and semi-finalists is below. 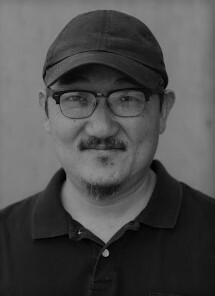 Haesong Kwon is the author of the chapbook Many Have Fallen (Cutbank Books). His poems have appeared in New Orleans Review, Quarterly West, Mid-American Review, Michigan Quarterly Review, Columbia Poetry Review, Yalobusha Review, Louisville Review, Redivider and others. He lives in Shiprock, New Mexico and teaches at Diné College. The Cowles Poetry Book Prize takes place annually, with submissions closing on April 1 each year. Southeast Missouri State University Press, founded in 2001, serves both as a publisher and as a working laboratory for students interested in learning the art and skills of literary publishing. It was a pleasure reading everyone’s work!